Approximately 8 species in Santa Cruz County. 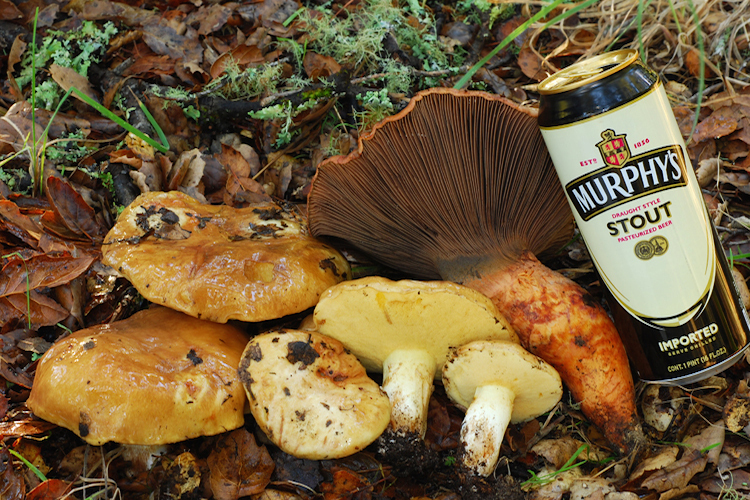 Suillus is a large and cosmopolitan genus, present throughout the world (in some places due to introduction). Recognition of the genus can take some time (since they are quite variable and intergrade to some degree with other bolete genera). 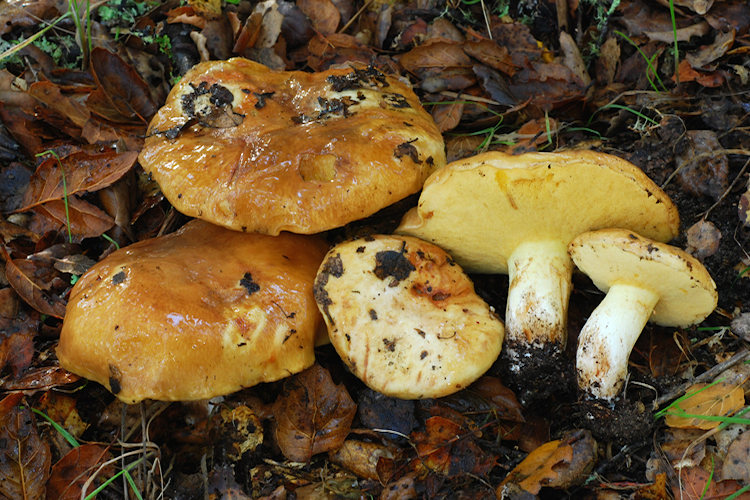 The fruitbodies are usually medium-sized boletes. 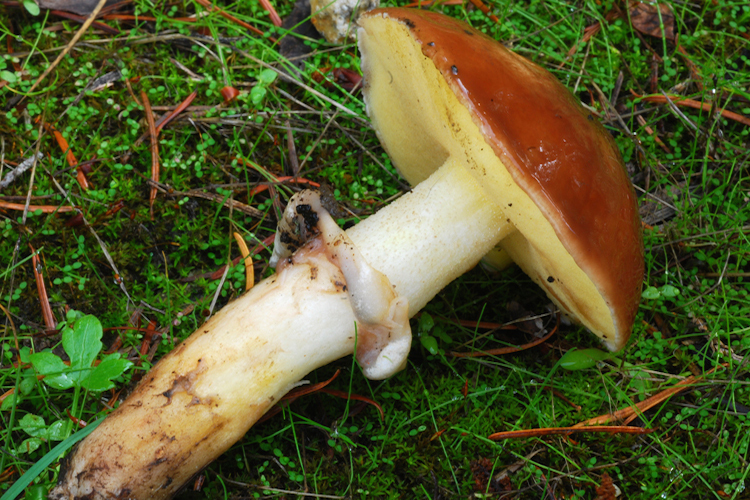 The caps are variably colored and show many different textures (smooth and extremely viscid to dry and scaly or hairy), but most have an easily-peeled skin (unlike many other boletes). The pores are often angular or slightly irregular and sometimes radially-arranged. Inspection of the stipe is important, as almost all species show either a partial veil or greasy glandular dots (the latter trait is unique to the genus). All are mycorrhizal, occurring in almost any setting as long as there are coniferous hosts in the family Pinaceae present. In our county, these hosts are the true pines and Douglas-fir. The genus is fairly speciose in California, with diversity structured around host and habitat specialization. Many species likely are undescribed or go by misapplied names. 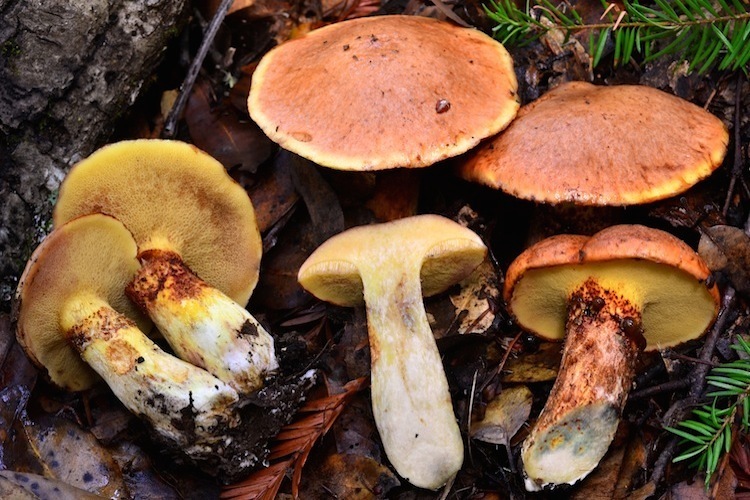 Fruitbodies found under non-native pines should be compared directly against European references, a number of Eurasian Suillus have been recorded in other parts of the state. Important identification characters include color and texture of the cap surface, ornamentation of the stipe (partial veil? glandular dots? ), color changes in the flesh, and crucially, host tree association. 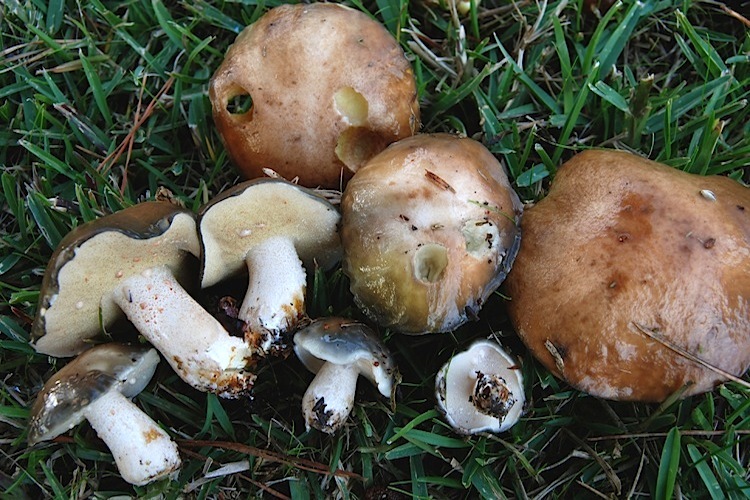 Identity of nearby Chroogomphus and Gomphidius can also be helpful.